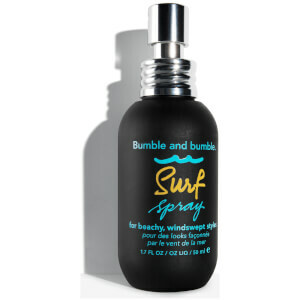 Bumble and bumble Surf Foam Wash Shampoo will gently cleanse your hair, whilst adding body and texture, so you can create beautiful beachy waves and tousled styles. Formulated with an expert blend of minerals and sea botanicals, this fantastic shampoo will impart your hair with bounciness and a soft texture. - L.M. Water, Sodium Laureth Sulfate, Lauramidopropyl Betaine, Magnesium Sulfate, Macrocystis Pyrifera (Kelp) Extract, Crithmum Maritimum Extract, PEG-120 Methyl Glucose Dioleate, Sodium Bisulfite, Glycerin, Polyquaternium-70, Polyquaternium-7, Sodium Chloride, Dipropylene Glycol, Edta, Tetrasodium EDTA, Citric Acid, Fragrance, Linalool, Hexyl Cinnamal, Butylphenyl Methylpropional, Limonene, Methylchloroisothiazolinone, Methylisothiazolinone, Phenoxyethanol, Chlorphenesin, Green 5 (CI 61570), Green 3 (CI 42053). This shampoo smells great, leaves my hair super clean and lightweight. My hair is usually on the greasy side and this shampoo does the trick! I fell in love with this shampoo (and the conditioner) after the first month of using it. It smells nice and lathers really well too! It leaves my hair in great condition, with plenty of volume and with a 'beachy waves' feel to it, especially when I let my hair dry naturally - it is fab, considering my hair is normally dead stragiht. It has also lasted me quite a while for such a small bottle, I have been using it for at least a month and a half now and there is still plenty left! However, recently, I have been noticing that I have had to wash my hair more frequently as it becomes more oily, much more quickly. I also don't get that 'squeaky clean' feeling after I wash my hair which is slightly disappointing after the positive start. I am unsure whether this is happening because my hair is getting used to the Bumble & Bumble Shampoo but it is quite annoying. I loved using this shampoo. I always find my hair hard to style and this leaves it fresh but with enough texture to style after every wash! Really works well for oily hair, keeping my hair clean and soft all day. For people with less oily hair, I suggest using conditioner after you washing your hair. I would buy again! 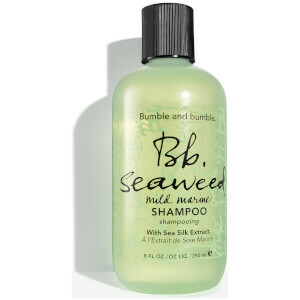 This shampoo smells really fresh and light and definitely delivers on its offer of beachy style tresses! Due to the nature of the product I felt it was slightly more drying than my average shampoo because of its sea-salt effect, but the accompanying conditioner helps keep your hair tangle-free manageable. If you like going for the surfer-y kind of look then I'd say definitely worth a splurge! Used this product alongside the conditioner and was amazed at the shine and condition it left my hair in.It smells lovely too. This shampoo is perfect for me. I normally hate my hair when it's clean, and I really struggle to do anything with it/to get any style to hold. My hair is pretty thick and naturally curly, so I normally blow dry after washing and use a curling wand after spraying tonnes of hairspray and dry shampoo in to try and give it some texture, but with this shampoo I don't have to! It adds texture to your hair and allows you to style it knowing it will hold for longer! And it gets rid of over the top shine! It also smells great, so it's a win-win really! I couldn't recommend this enough to people who want to add some body and texture to their hair! Definitely re-purchasing this! 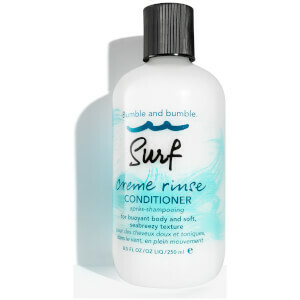 The Bumble and Bumble Surf Shampoo is great. I was skeptical, since volume shampoos never deliver for me, but this works wonderfully. I'm able to air dry with hardly any product at all except for some surf spray and my fine, straight hair has lots of soft texture and body. It's perfect for all seasons too. This is a winner!